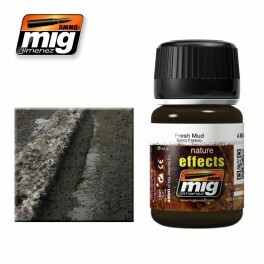 FRESH MUDDark brown enamel effect ideally suited for creating muddy surfaces. It can be also mix with plaster to create volume. Apply with a brush or airbrush and then fade with a clean brush moist with Enamel Thinner.